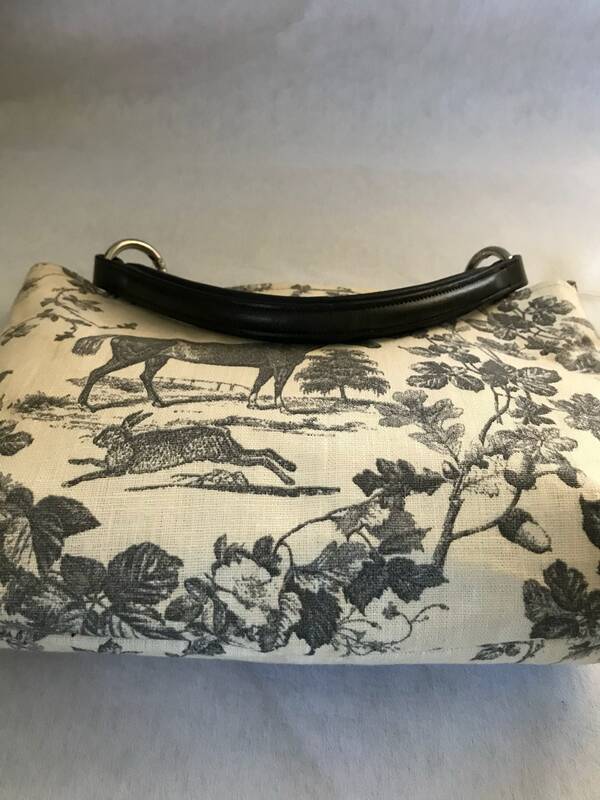 Truly lovely handbag made with exquisite French linen. 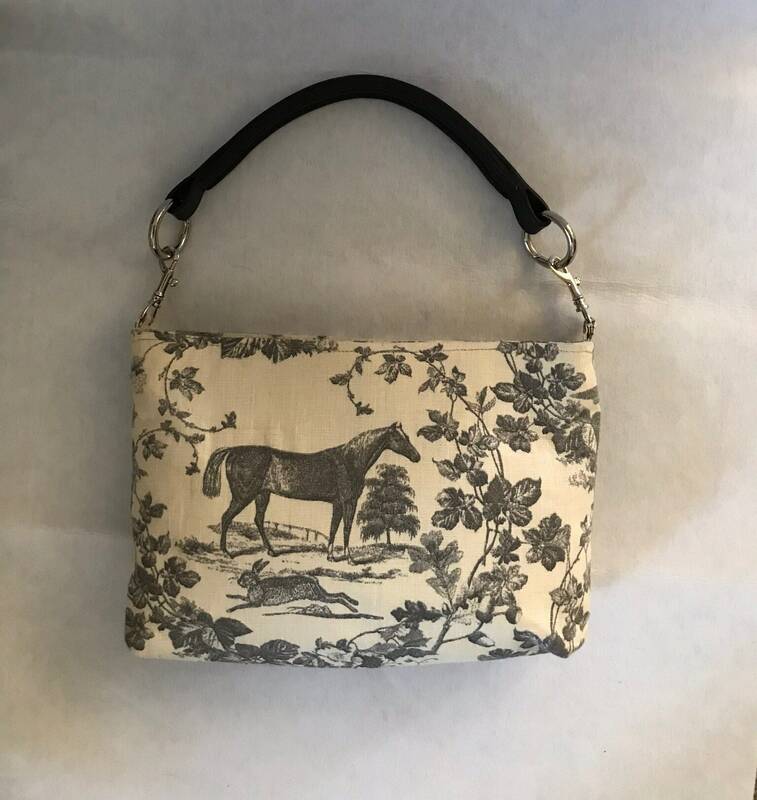 This equestrian bag is lined with grey organic cotton. 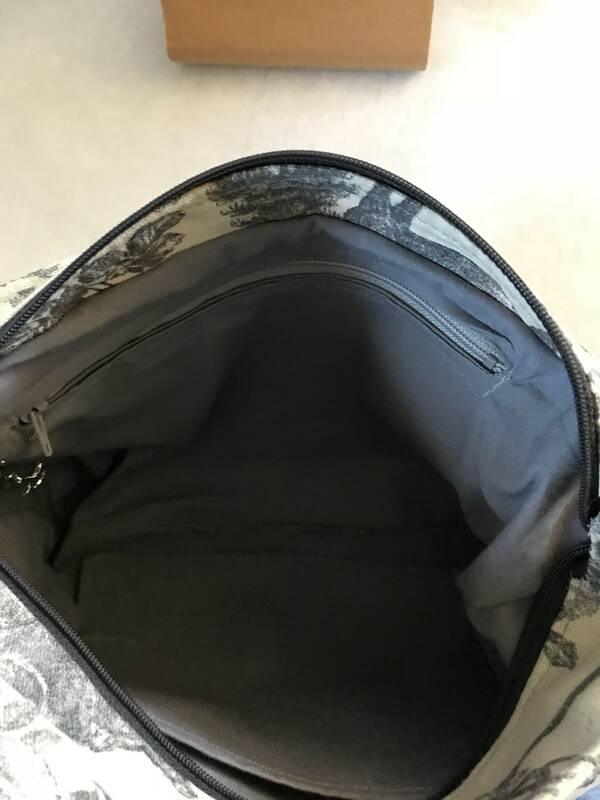 It includes 1 zipper pocket and a slip pocket for easy access. The handle is made with a raised black leather browband making it truly unique. 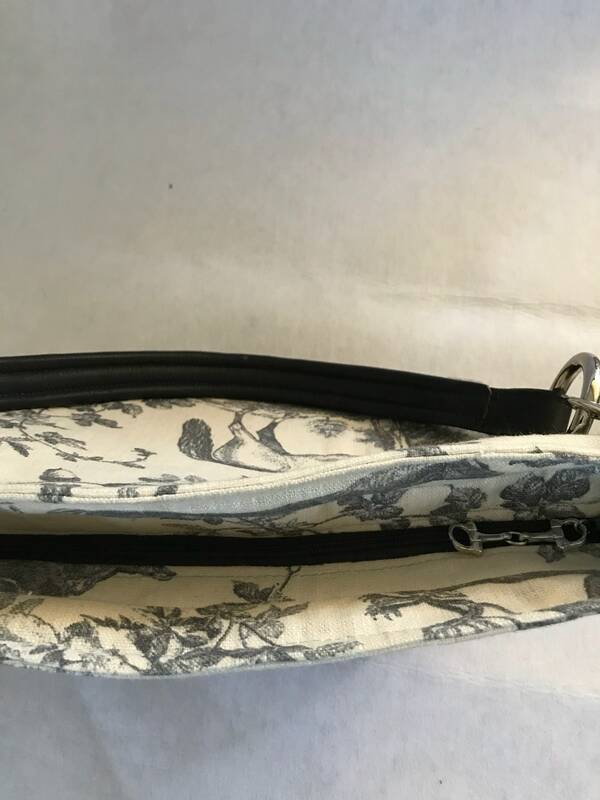 The top closes with a zipper and has a tiny bit for the zipper pull. It measures 9x 12 and is roomy enough for all your needs(I can actually fit my iPad in it). 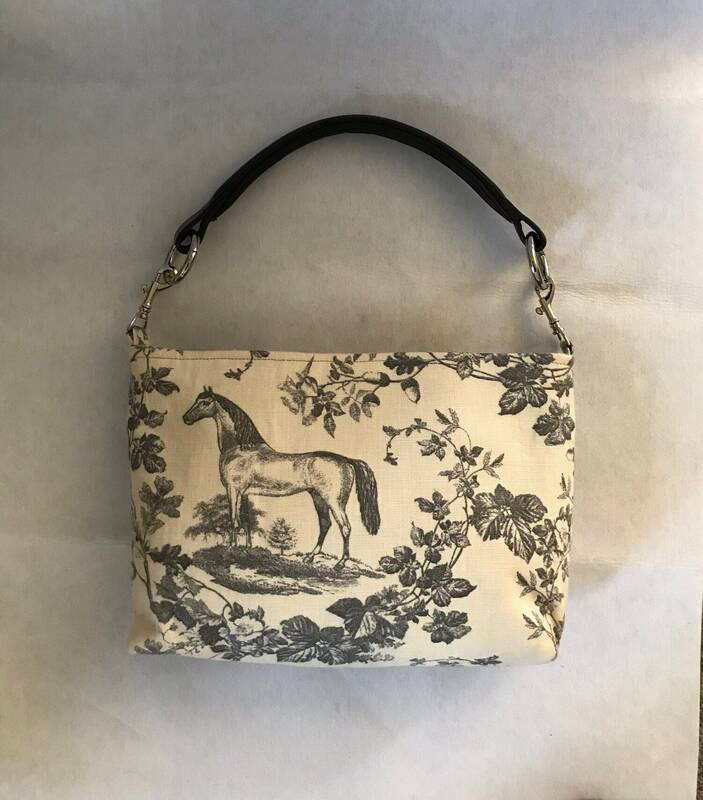 The handbag is a limited edition as the fabric is no longer in print and there are limited quantities. Should you want a different size or style please message me as we can create something special just for you. Custom works are my specialty. All of my bags are designed and custom made by me in my studio.